EUR/USD: Neutral: Bullish only if daily closing above 1.1300. GBP/USD: Shift from bullish to neutral: In a 1.3150/1.3450 range. The bullish phase that started last Friday has ended with the move back below 1.3300 yesterday (low of 1.3282). The current movement is viewed as a consolidation phase and GBP is expected to trade sideways, likely within a broad 1.3150/1.3450 range. From a shorter-term perspective, the immediate bias is tilted to the downside but any decline is expected to slow and a clear break below 1.3150 is not expected at this stage. 1.3400 is a strong resistance ahead of the recent high near 1.3450. AUD/USD: Bullish: Immediate target of 0.7740. NZD/USD: Bullish: Increasing risk of a short-term top. The sharp decline in NZD yesterday was unexpected and the overnight low of 0.7384 came very close to our stop-loss at 0.7370. Unless NZD can move and stay above 0.7480 within these 1 to 2 days, a break below 0.7370 would not be surprising. In other words, it is increasingly likely that a short-term top is in place. USD/JPY: Neutral: In a 100.80/103.20 range. 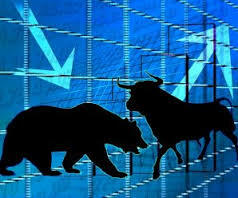 The recent short-term downward pressure has eased with the strong and rapid rebound yesterday. While the outlook for USD is still deemed as neutral, it is more likely to trade sideways within a broad 100.80/103.20 range instead of extending lower to 100.05 as expected previously.